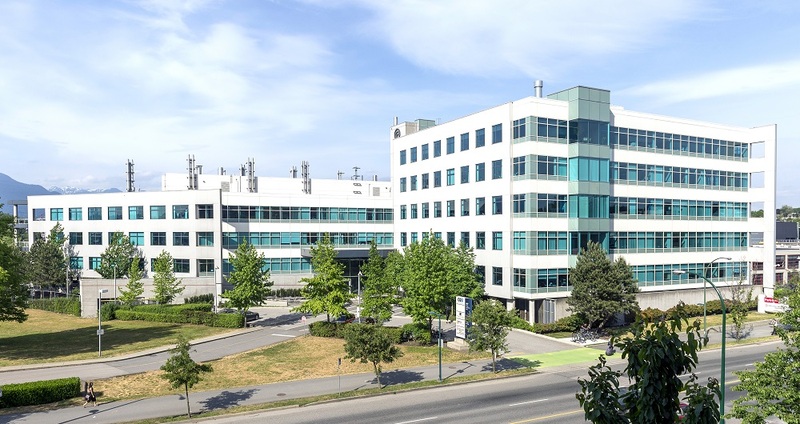 Located 2 minutes from the VCC Clark SkyTrain Station, 887 Great Northern Way is home to multiple office and lab tenants – a hub for creative, technology and biotech companies. 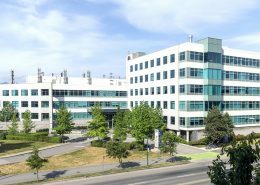 Surrounded by parks, transit, the new Emily Carr University of Art + Design, Centre for Digital Media and completed offices at 565 Great Northern Way, the evolving South Flatz neighbourhood is highly sought after. 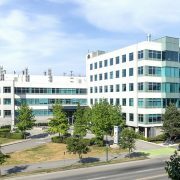 Building features include highly efficient floorplates, renovated lobby entrance, improved lab spaces, large windows, common shipping and receiving area and walking distance to the VCC Skytrain Station. Located just off Highway 1 at 200th Street and 88th Avenue West in the high-profile “Gateway Node” of the Carvolth neighbourhood, the new First West Credit Union Regional Office building will be a visual signature for Langley. This 130,000 SF office/retail building will feature 6 stories of high quality office space with a fully-equipped fitness facility and over 20,000 SF of retail amenities. Ample surface parking, underground parking and bike lockers will be available. Under construction for completion in 2020. Now selling high quality strata units with dock loading. 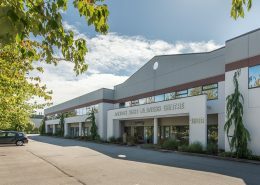 Centrally located on a major thoroughfare of Annacis Island, Annacis Business Centre is just west of Eaton Way and only a two minute drive to the Alex Fraser Bridge and the Highway 91 Interchange. 333 Seymour is a 17-storey office building in downtown Vancouver located on the southeast corner of Cordova and Seymour. Situated across from Waterfront Station and the Burrard Inlet waterfront, and one block west of Vancouver’s historic Gastown, 333 Seymour features water and city views with direct access to transit hubs, key regional vehicular routes, parks and local amenities. 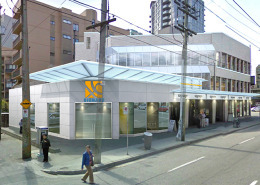 333 Seymour will undergo renovations to revitalize the podium levels with improved office amenities and groundplane connection to 601 West Hastings. Currently fully leased. For inquiries, please contact Dan Turner or Jarvis Rouillard. 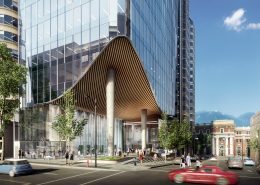 Located on the prominent corner of West Hastings and Seymour Street, 601 West Hastings will be one of downtown Vancouver’s most striking commercial developments. 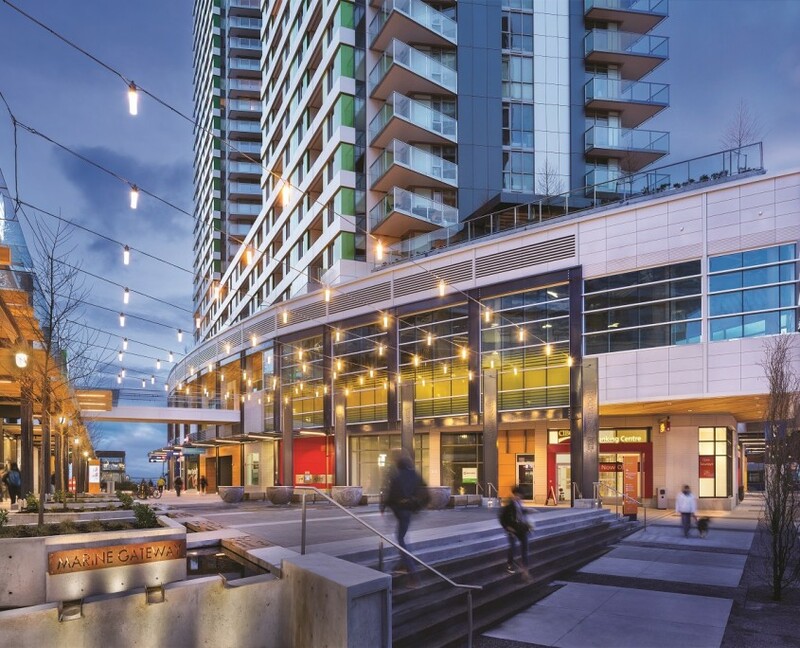 Responding to the growing needs of the city, this tower was redesigned with a revitalized community plaza and 25 stories of modern office space. 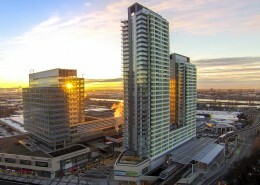 Ready for occupancy in 2021 – 2022. Prominently located on Great Northern Way with easy access to public transit and the Central Valley Greenway, 565 Great Northern Way will be an iconic building in the up-and-coming creative district adjacent to the Emily Carr University of Arts and Design and the Centre for Digital Media. 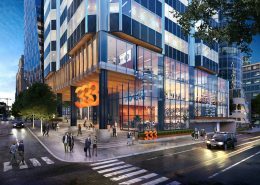 This LEED® Gold office building will feature a warm and inviting main entry, a new civic plaza and vibrant retail pavilion, a fully-furnished fitness centre, bicycle end-of-trip facility and rooftop patio amenities. The interior office space is optimally designed with high ceilings, exceptional daylighting, natural ventilation, sunshading, and expansive windows to capture the spectacular views of downtown Vancouver and the North Shore mountains. Ample parking available with 3 and a half underground levels. Ready for occupancy in Q1 2018. 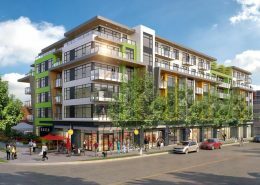 Located on the corner of East Hastings and Kaslo Street, 388 KASLO is an urban mixed-use development in the heart of Vancouver’s East Village & Hastings Sunrise neighbourhood. This building includes 94 dedicated rental apartments above pedestrian-oriented retail with 45 commercial parking stalls. For details, click here for CBRE’s listing or contact Nolan Toigo. 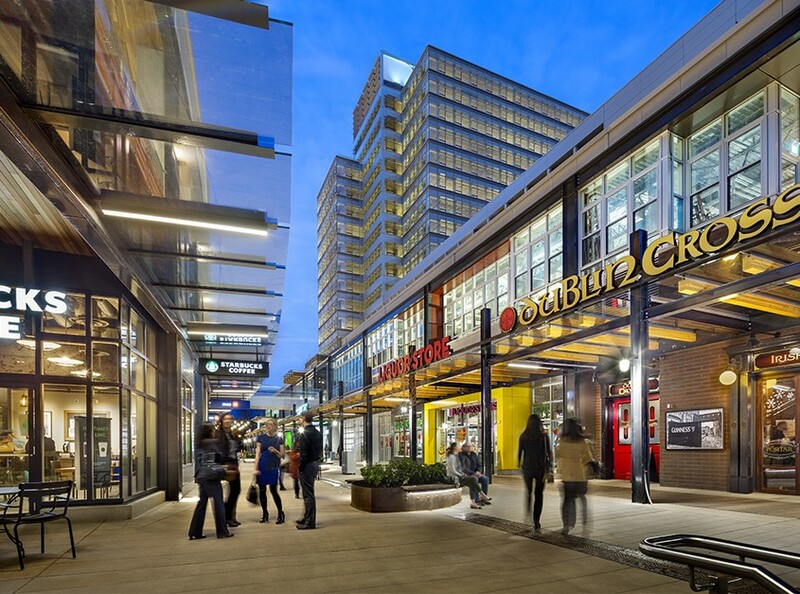 3-storey commercial mixed-use building prominently located off Vancouver’s premier Robson Street shopping district connecting to the coveted West End. Building systems and aesthetic improvements are under way and will be completed in stages through early 2016, supporting attractive street front service retail and desirable office space above. 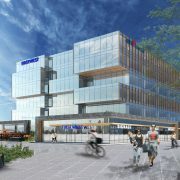 Phase A of the HUB at King George Station encompasses Coast Capital Savings Credit Union’s Help Headquarters – an iconic City Centre home for Coast Capital Savings that supports the credit union’s numerous initiatives which contribute to and make a difference in the Surrey community. 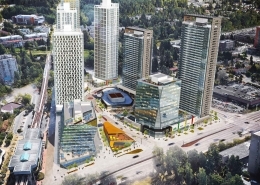 As well, Phase A includes Coast Capital’s aperio-style branch, Coast Capital Plaza, a day care, ample parking, and a variety of food and retail options. Phase A completed last fall 2015. 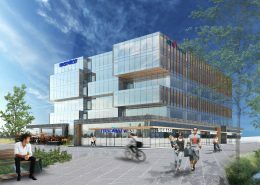 Phase B will feature a high-quality LEED Gold office tower at the corner of King George Blvd and Fraser Hwy, situated above a multi-storey retail podium featuring a variety of apparel, entertainment, large format and service uses. 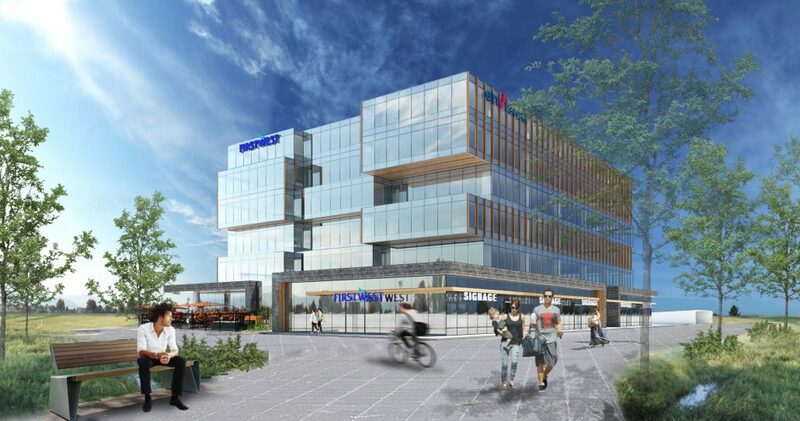 Directly integrated with the Marine Drive Canada Line Station and South Vancouver bus exchange, Marine Gateway is a large scale, transit-oriented mixed use development that will be the community hub for South Vancouver and entry landmark into Vancouver. 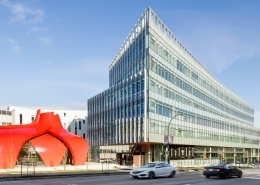 Built to LEED® Gold standards and completed in Fall 2015. 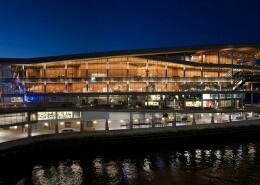 Comprising approximately 85,000 square feet of LEED Platinum retail and office space, all premises provide stunning views of Coal Harbour, the Burrard Inlet and North Shore Mountains, as well as high traffic exposure and accessibility by foot, transit, car, and seaplane. 235,000 sq. 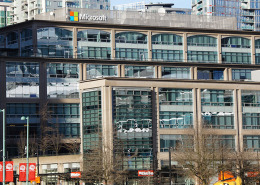 ft. commercial development bordering Yaletown and the developing stadium district, including office and retail uses.